Being accused of a crime can be a highly stressful and often confusing experience. One of the first actions that the court will take once you have entered jail is to set your bail. Since it is often difficult to come up with cash for bail, you may want to reach out for the assistance of a bail bondsman. 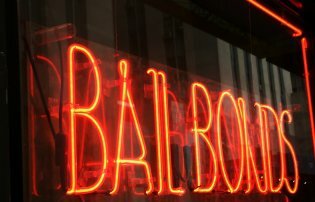 A company offering bail bonds serving Maryland will provide you with the cash you need to pay your bail. By trusting a 24 hour bail bond service , you can ensure that your bail bond agent will be there to assist you, at any time of the day or night. If you are wondering about how the bail process works, read on for answers to some common questions about bail bonds. What Information Will The Bail Bondsman Ask For? Whether you or a loved one is in need of money for bail, you will need to be ready to provide the bail bond agent with some key pieces of information. For example, your bail bond agent will need to know why you have been taken into police custody, as well as your full name. What Is The Process of Obtaining a Bail Bond? The process of obtaining a bail bond is very straightforward. First, you will need to wait for the judge to set your bail. After the bail has been set, you will be ready to contact a bail bond agency. The bail bond agency will post the cash needed for you to leave custody until your trial. What Are Some Acceptable Forms of Collateral? Typically, a bail bondsman will require some form of collateral to ensure that you will be able to repay your bail bond. There are many different forms of collateral that are acceptable for bail bonds. For example, you can use real estate, cars, or even stocks and bonds. The collateral will be returned to you once your bail bond has been paid in full. 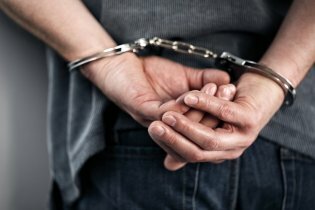 If you have been charged with a crime and cannot afford bail, you may require the assistance of a bail bond company serving Maryland in order to be temporarily freed from custody. While this may be a routine procedure for bail agents, not everyone knows exactly how to get a bail bond; if a loved one is in trouble, it helps to understand the process so you can get a bail bond and get your loved one out of jail fast. Once you have been arrested for a crime, a judge will determine the bail amount. If you cannot afford to pay this amount, you will have to wait for your court date while in custody or find a bail bondsman and get a bail bond. If you choose the latter option, you will have a friend or family member contact a bail bond company and pay a certain percentage, or premium, of the total amount of your bail. The bondsman keeps this money and gives the court a bond in order to release the client from custody. If the person released from jail does not show up to his or her court dates, the individual who hired the bond agent will be responsible for the bail. Many people recognize bail as the set amount of money that a defendant must pay in order to leave custody while waiting for further court proceedings. The amount at which your bail is set may be affordable, or you may require the help of a bonding company and surety in Maryland . Watch this video to find out how bail is determined. The person in charge of determining your bail is the judge. He or she will consider a number of factors in deciding on the amount, and these factors will help to assess the risk of releasing you from custody. The judge will consider the evidence that has been provided, the seriousness of the crime that you allegedly committed, and your criminal history and character. 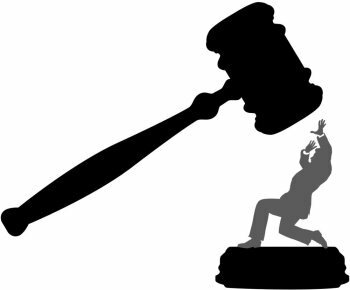 Judges may also consult a bail schedule that suggests bail amounts for certain crimes. A serious crime committed by someone with a criminal history may warrant a steep bail, which typically requires a bail bond to meet. Although individual situations may vary from case to case, the process of being arrested tends to follow the same general path. You will go through processing and arraignment, and you may need to seek bail bonds if you cannot afford to post bail yourself. This can be an overwhelming experience, especially if it is your first time being arrested. Fortunately your Maryland bail bond company can help you out. An arrest typically begins with the police handcuffing an individual and taking him or her to the appropriate precinct. Upon arrival, the individual will disclose certain information to the police; this may include his or her name, date of birth, address, and other such information. The individual will then be fingerprinted and processed for arraignment. A person under arrest will also be relieved of all personal belongings. Legal belongings will be held onto and returned when the person leaves, while contraband will be seized as evidence and not returned. At this point the police will also check to see if there have been any warrants issued for the suspect’s arrest. After the police have gathered all of the necessary information and completed the proper paperwork, the suspect will be transported to a holding cell before the arraignment. The suspect’s lawyer can submit a Notice of Appearance, or the court can assign a lawyer to represent the suspect if he or she cannot afford one. After a meeting or interview between the suspect and lawyer, the person in custody will be formally informed of all charges. At this point, the court can set bail. If you find yourself at your arraignment and you are unable to make bail, you may decide to call a bail bondsman. You can make an arrangement with your bail bondsman in order to leave custody without paying the full bail amount. You will pay the bondsman a premium, and the bondsman will offer the court a bond.